Thrifty Thursday with Saint Teresa and my HAIR! Several years back my family and I embarked on an adventure to Italy with our church choir group. It was an experience of a lifetime cherished by my whole family. We had to start saving for it many years before it. We had many ideas and goals on how to accomplish this. At the same time we were taking care of some medical debt and a gas line debt. I thought my husband had lost his mind when he was pretty persistent about us saving for this trip. Thus, I started to get creative in cutting costs, and figure out some of our LATTE FACTOR (check out this link about the LATTE FACTOR). Having read this book years and years ago (probably close to 15 years)…I knew the art of tweaking our budget on a pretty regular basis. Which brings me to my hair. My hair has truly always been my vanity. I can leave the house in ratty clothes, no make up, but my hair has always had to be done. Even if it is a crazy “messy” look that I have purposely coiffed. Point being: hair was, is my thing! Years before my daughter, I would enjoy a Tony and Guy hair cut about every 3-4 months and spend anywhere from $50-75 on a cut, depending on the stylist. That’s not even counting the times I would highlight it. Then had our precious daughter and I really didn’t have the time to go to a stylist, so I would trim here and there, streak my hair from time to time….and basically experiment in a very minimal way so as to not create too much of an issue with my look or hair if I was to really “screw up”. 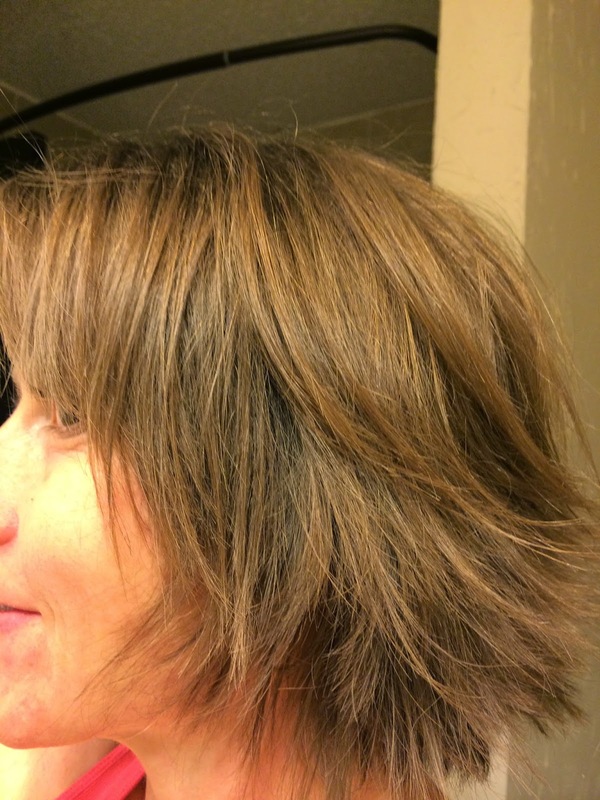 Over the years I have had many stylists who have actually helped me learn even more about hair cutting and coloring. I was still averaging about $30-35 every 6 weeks to 2-3 months. It just depended on the cut, which would determine how soon I felt I needed to get back to the salon. Back to the LATTE FACTOR…..do the math and hair cuts can add up. Thus I thought….I can cut this cost by using the skills I had been learning. I took the plunge. For over 2 years I trimmed my hair. And gained confidence enough to even start adding layers, and texture. 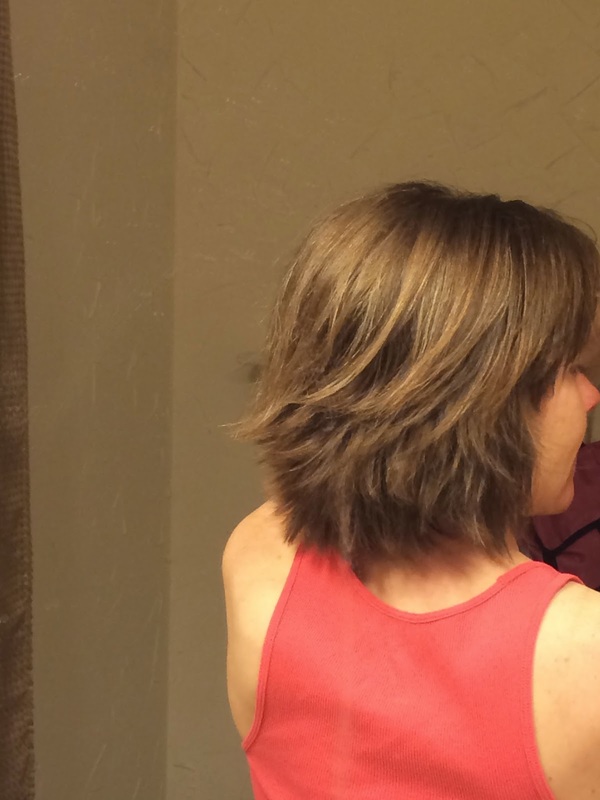 Every time I would get a compliment about the “cute hair cut” I had just gotten….or a comment of “wow you got your hair cut, it looks great”…..well it made me bolder and stronger to know that I can do this! For me it was a leap worth taking because even my best and favorite stylist would still not know exactly what I was thinking in my head for my hair….and even when they got it absolutely right….well my hair doesn’t grow even, or it would lay one way on one side and not the other…..so I have crazy hair anyways…..I couldn’t possibly go wrong :)….. Thus my secret is out….I have been cutting my own hair now for almost 4 years….with only one trim done 2 years ago by a stylist right before my grandmothers funeral. What does this have to do with St. Teresa? She was a nun. She sacrificed her LATTE FACTOR all the time. She had to wear a habit to veil her hair. She had to die to any and all vanities. I did the math for those 2 years of saving for the Italy trip (and that was just one way I cut costs)….I saved close to $500!!! It was so worth it, in so many ways! What can you do to cut costs today that will not only put more money in your pocket but give you a boost of confidence that will help you strengthen yourself: mind, body, and soul!! !